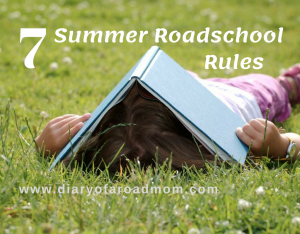 If you’re looking for a list of rules to make your summer roadschool awesome, you’ve come to the wrong place! The Road Trip Teacher crew steers clear of any set-in-stone, cookie-cutter parameters that stifle the enthusiasm to learn something new every day. If your summer travel plans take you to a specific region of the United States, state study guides can be grouped together to represent that also. This is a wonderful record of time spent that will be referred to time and time again. There are tons of music curriculum out there that allows a student to formally study the subject. One of our favorite ways to enjoy music curriculum is with Super Quiet Learning Time from SquiltMusic.com. These are easy lessons with no planning involved that can be enjoyed by all ages under a tree during a picnic or anywhere you please! You might even find that one of your roadschoolers enjoys a particular composer and for that, this fun site has Squilt Spotlight studies. It’s no secret that Art + Outside = Super Summer Fun. There are so many different ways to enjoy art, sometimes it’s overwhelming to pick just one medium. So don’t! Try something new each week of the summer that you may or may not have tried before. A favorite from the Road Trip Teacher’s crew is chalk art pastel drawings. 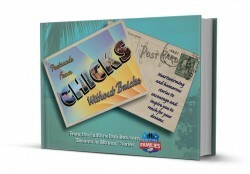 The Roadschool 101 crew especially enjoyed the lessons from the American Landmarks tutorials. Have your kiddos shown an interest in a particular sport, activity, or musical instrument? Use YouTube videos and plan a chunk of time to further their interests. If your summer travel plans are really flexible, research an instructor or private tutor and block out a few weeks of lessons. This is something that will be a reward long after the instruction is over. 4. No matter where in the world you are, summer and nature just go together. This is the perfect season to spotlight a nature study. Compile a nature journal ahead of time to inspire roadschoolers to record details of the world around him or her. Keeping a nature journal for three months so that what she sees and what she hears can be recorded will make her a better observer. As the leader of this trip with Mother Nature, drop in subtle reminders to look for the little things, pay extra special attention to what you hear at night when all is quiet, and note the weather for one place to another. Using a nature study to spotlight your summer roadschool is a great way to cultivate your learner’s senses and enjoy every ounce of what the season is all about. 5. No matter what the season or direction of your roadschool rig, reading is a great way to keep your learners moving in the right educational direction. Summer feels like freedom so this is a great time to let your readers sample all kinds of material. Download these free reading calendar pages from the Learning Shoppe over at Road Trip Teacher and post them in a central location. See who in your household can fill a month’s worth of reading activities. 6. Take advantage of the summer holiday spotlight over Independence Day. Let the research begin before you arrive at your early July destination. See what the area has to offer in the way of history, activities, and firework celebrations. If July plans in your rig aren’t firm yet, check out these great July 4th destinations from Fulltime Families. 7. If your entire summer is up in the air, make your summer roadschool a mystery trip! Last year, the Roadschool Moms shared you their Top 10 Summer Destinations. Use that as a guide to map out all the places your traveling tribe would love to see in the lush, green season of summer. How many can you mark off before the leaves fall later this year? For information on how you can catch up with the Roadschool Moms duo this summer, check out the season schedule . To listen to the Roadschool Moms’s plans for summer roadschool, hit the replay episode of Roadschool Moms over at iTunes!